Promotional materials for Fly Fresh Entertainment. 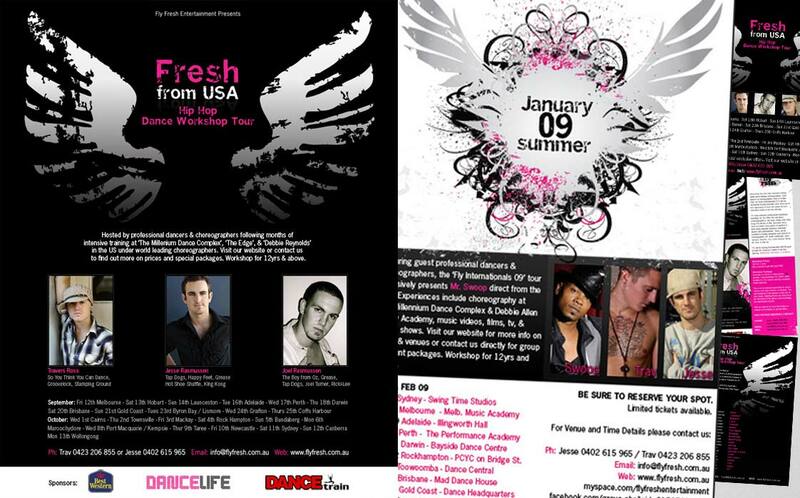 An Australia-wide hip hop dance workshop tour. Hosted by Travers Ross and Jesse Rasmussen, featuring Swoop and Joel Rasmussen.